There’s a delightful array of art and accessories featuring birds in all their finery at Etain Hickey Collections in Clonakilty. The exhibition ends on Saturday 6 September. 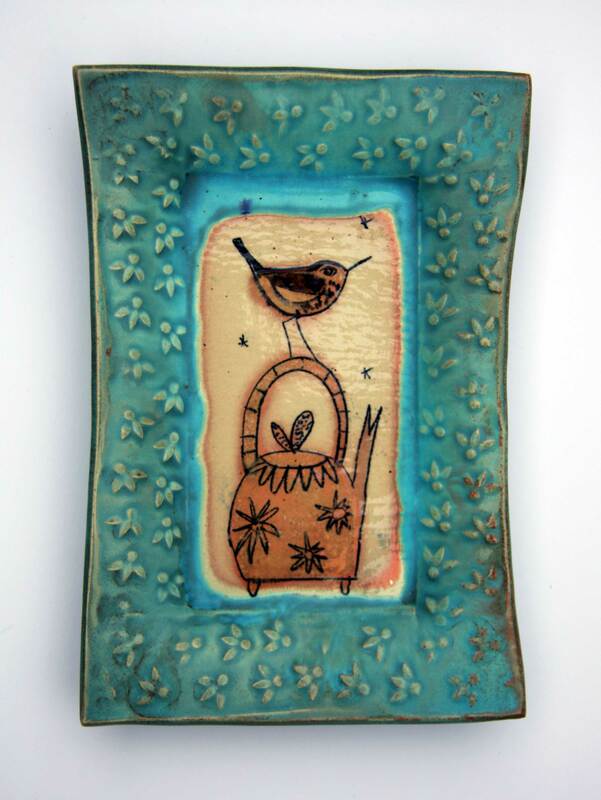 “I invited a diverse group of eight artists to make something new for the theme Tea and Twitter and I’m thrilled with the results,” says Etain, who recently won the Outstanding Achievement Award at the Irish Ceramics Awards 2014. 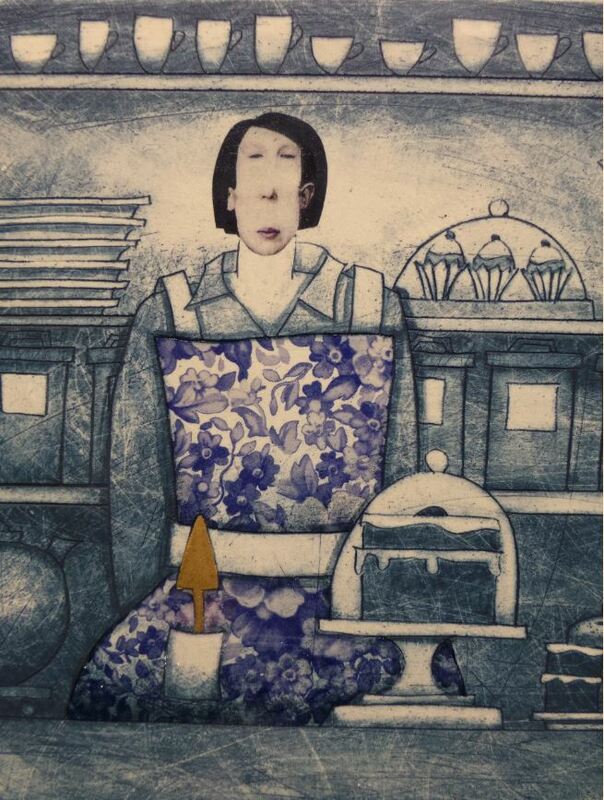 Etain specialises in highly decorated and lustred ceramics and has exhibited both nationally and internationally, with recent exhibitions in London and Brussels. Her work is included in private and public collections including the Crafts Council of Ireland, The Ulster Museum and Fujita Museum Japan. 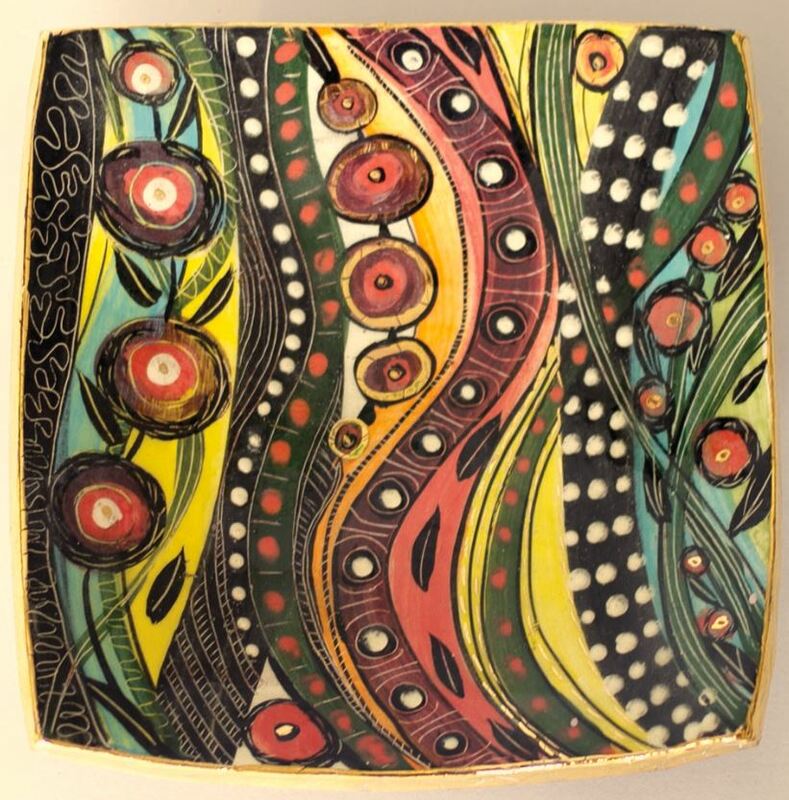 She lives, works and runs her gallery in Clonakilty West Cork, exploring her love of colour and pattern in her ceramic wall dishes using rich glazes and lavish decoration techniques incorporating gold. 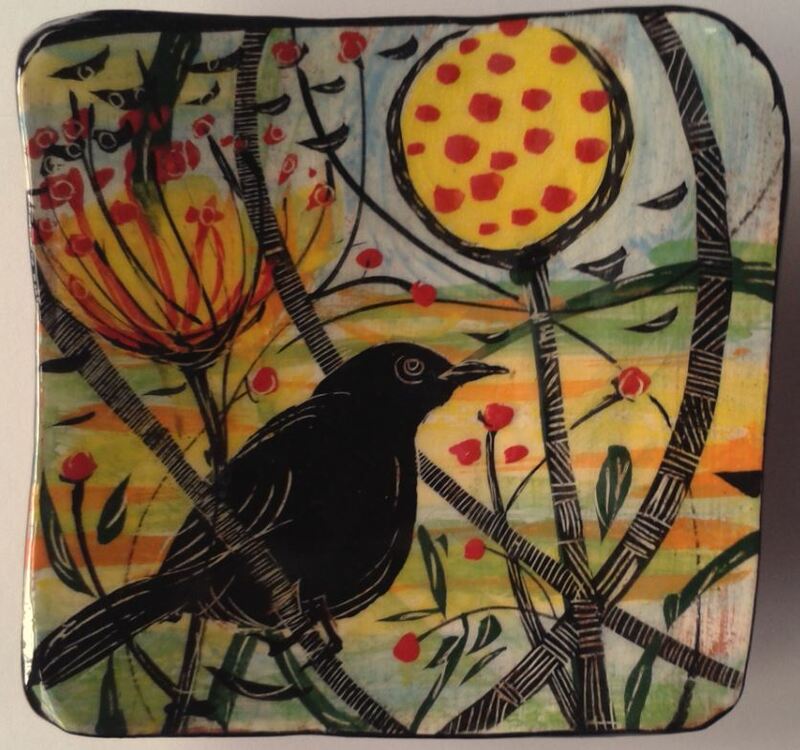 She exhibited new work featuring birds, hares and floral motifs this summer with the Cork Potters in Wandesford Gallery Cork, Millcove Gallery Castletownbere and Kenmare with a solo show in the Blue House gallery in Schull. 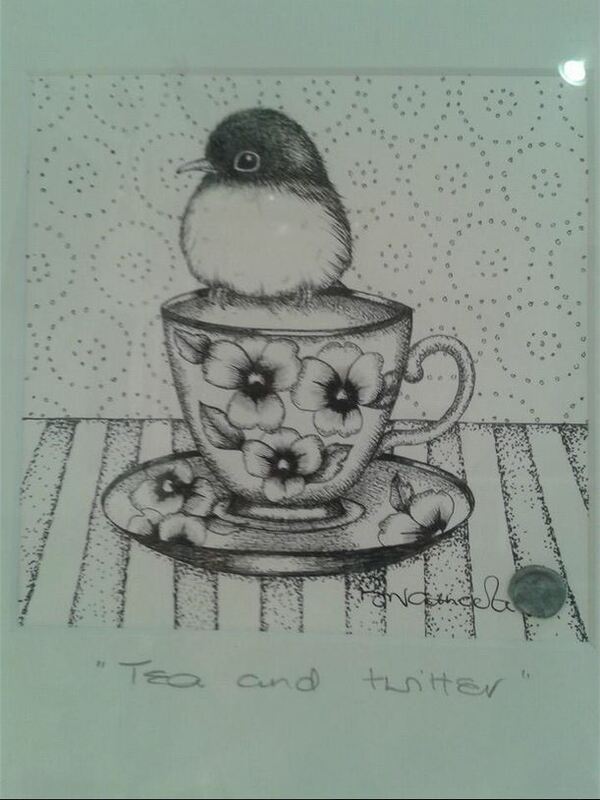 Tags: bird art, Etain Hickey, West Cork art. Bookmark the permalink.